Aw, Guy and the pink bob-omb are so cute! Looks like the King's makers label his shoes. It's how they leave their calling card. He just walks across the battlefield after the destruction and there's KBB stamped all over it. Quite frankly, I was hoping that you'd have the ensuing carnage of what happens between Guy and the bobomb offscreen. Honestly I'm a little disgusted that you didn't censor that level of violence, I hope nothing like this happens again. Or else you may be losing annother one of the millions of readers you've already lost cause of your mistakes. Ha! What we thought was going to happen to the pink bob-omb got completely averted. And Palma, didn't you hear that you're not supposed to throw him off the mountain? wonder what guy is going to do to that bob-omb...oh, scary thought! It looks like Guy made a new friend! I can't wait for the "Can we keep him?" moment with the crew. On that note, I would love to see pinkie join the crew, even though I know it's probably not going to happen. I thought you meant http://brawlinthefamily.keenspot.com/2011/02/15/311-cocoon-academy-part-1/ . Much as I love the little bob-omb, I fear if he became a regular cast member he would wear on some readers' patience and get labeled a Scrappy. :c I would love him anyway, but it would make me sad to see that happen. "Palma! You must fight with honor! It's against the rules to throw the king out of the ring!" Hmm. Those first two panels suggest I was not mistaken when adding the "cute machines" trope to Mushroom Go's page. I love that little pink Bob-Omb! He should join the crew! He also has that whole "Hyperactive cute" personality down. Yes! The Pink Bob-Omb should totally have a spot on the crew! Whose with me? Aw, heck. There's an opening for a Team Pet, I think. I can see the little guy running around the ship trying to improve it and constantly messing stuff up. Some hilarity can come from Tech VS Magic too. Greanted, I'm thinking that there's a remote deatonator for the Pinks and we might have a heroic sacrifice on our hands. Even if they don't I still have the feeling this will only end in tears. ...that's just my grim side talking though. We've had several heavy-duty ends to two arcs before (one of them supposing to be the BREATHER arc...). I'm hoping we get a lighter ending to this one. Want a breather? Too bad! WALUIGI TIME!! Airship... there's also the possibility the Pinks will modify the Chainless as payment in the end now that I think about it. No million coins needed, just a few arcs to collect the Seven Cool Widgets needed to build Chainless Air. You wouldn't hit a girl with glasses would you? I love Palma's face in the last panel. And most other things about this page. Oh goodness, What If "Pinky" Becomes Guy's " Voice? DUUUHUUUUUUDE!!!!! That would be so cool! That should be interecting... A mario based webcomic following the format of most Zelda games...well played. Also, his name is Squishie. He could be called The Pink Chiken, I wouldn't mind, as long as he doesn't have Navi's personality. Also, I just realized I've been reading this little bob-omb's lines in the Space Core voice. When I read your comment, I realized I was reading the bomb with the voice of a tachikoma from Stand Alone Complex. This is the perfect choice and will be my headcanon from now on. Thankyou. FACT: Squishie and the pink bob-oms will never build a ship and thus will never go to space. And in the fourth panel, King Bob-omb gets a purple nurple. The dot on the hammer is still bugging me. WHAT COULD IT BE?! You see?! That's what I've been asking!! 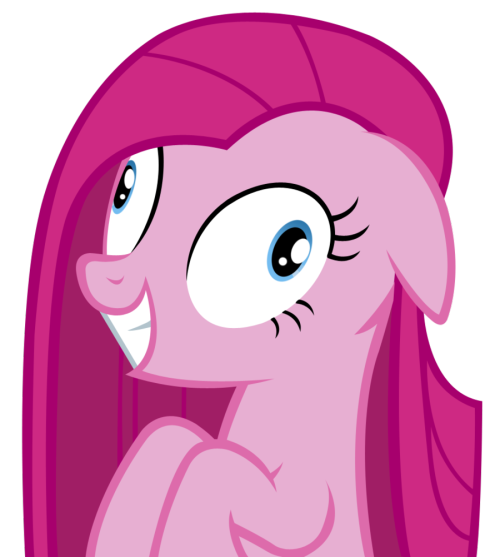 All of you realize that once you said "Pinkie Pie" and removed the plausible deniability of it being a possibility, there WILL inevitably follow the hordes of MLP:FiM fanfiction, correct? Because there is no "If Mushroom Go were to crossover with Ponies" there is only "When is someone going to write that crossover". It's fate is sealed by the mere plausibility of the event. I might even be the one to write it! ...May Miyamoto and Faust have mercy upon my soul. I'd read the hell out of that. Also, I love the twist. Talk about a cliff hanger. Nice! A rim shot. Just what I needed. Thanks. I disagree, This is a fine pace, ESPECIALLY for a comic that only updates once a week. There's always a cliffhanger of some sort that keeps me hanging on the edge of my seat. are....are you saying you're BORED? I don't understand your complaint. Umm, Ranter, MeowMixIsorCats339 isn't saying he (or she? I'll go with the olde english definition of "He") is "BORED". In fact quite the opposite: he's like a hyperactive squirrel that has an addiction to webcomics. He's asking it to be LESS exciting, so he doesn't lie awake in the early hours of the morning, having Mushroom Go as his only thought. You're actually agreeing. It's just that he dislikes what you like. And because you both like something, I'm going to dislike it! Even with all of the other references to events from mario games, I must admit, I was not expecting the Mario Party (4, I believe) reference. Even more surprising, I didn't see anyone talking about it in the comments.